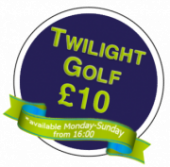 If you want to book a Tee Time on-line then please complete the booking form below with the relevant contact details, preferred Tee Time and the number of players. We will then contact you to confirm the booking. Would you like to receive the Walton Hall Newsletter? Bookings made after 5pm for the following day will be confirmed either by text or a telephone call. To request a Tee Time please set the relevant date and then use the drop downs to set what time (Hour then Minutes passed) you would like to Tee off.